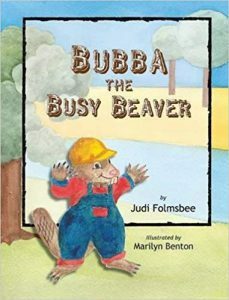 Meet “Bubba the Busy Beaver” by Judi Folmsbee!! 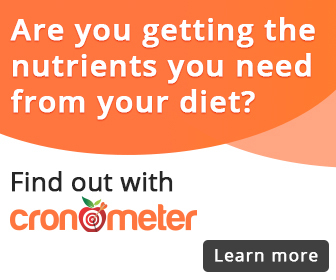 Track Your Nutrition, Fitness, & Health Data With Cronometer. Click the banner to get started! In this juicy episode of the Reading with Your Kids podcast, we’re so excited and honored to have the amazingly talented Reading with your kids certified great read author Judi Folmsbee! Judi, a children’s book author provided us with some super interesting insights into her newly released children’s picture book Bubba the Busy Beaver. This delightful picture book written by Judi Folmsbee and illustrated by Marilyn Benton helps teach kids to live up to their potential. It is a great way to introduce and teach children to have a growth mindset. Take a listen to find out what we think about Judi has to say about her book. We enjoyed reading & listening about Bubba the Busy Beaver and we hope you will too! Have you ever felt like giving up because something was too hard to do? Bubba felt the same way, but he was in for a BIG surprise! Let’s see what we can learn from Bubba, the busy beaver. Judi Folmsbee is an educator, speaker, and writer. She has two children’s books published, Bubba the Busy Beaver and Preposterous Pebbles. Her latest, Ferica the Fast Frog, is busy getting the illustrator’s touch. And be sure to check back often as she has a few others in the works! Judi also writes devotional stories. A retired teacher after 25 years in the Woodbridge School District, Greenwood De., she continues to be involved with the elementary school as a visiting presenter. She visits other area schools as well. She also can be seen at many community events such as: signing her books at Browseabout Books, Rehoboth Beach, De. ; Jumping June Jamboree, Bridgeville, De. ; Community Day in Greenwood, DE; Seaford Boys and Girls Club, Seaford, De. ; Eagles Nest Christian Academy’s Community Day, Milton, De. ; and the Holly Festival in Milton, De. In addition, Judi has been a guest speaker and attends 1 Million Cups, developed by the Kaufman Foundation, and is hosted by Delaware Technical Community College in Georgetown, De. 1 Million Cups is a free program designed to educate, engage, and connect entrepreneurs with their communities. It starts at 9 a.m. until 10 a.m. Wednesdays from September through May. Oh, and by the way, if you have always wanted to write children’s books and didn’t know where to start, Judi teaches classes to those who want to learn. When she isn’t writing, teaching, or speaking, Judi enjoys walking on the beach with her dog, Champy, taking photographs, relaxing with family, or traveling. Where can you find Judi on the internet? Why is children’s book so important to Judi? What is Judi currently working on, future projects and more……Be sure to tune in for all the great insights! A huge thank you to Judi Folmsbee for joining us and for sharing her fun little book with us! Read NextChildren’s Author Interview: Reading With Your Kids Podcast!